The menus will have a large blank area for you to fill in your own names and text. You can email your menu text to us after you order, or you can enter it here. 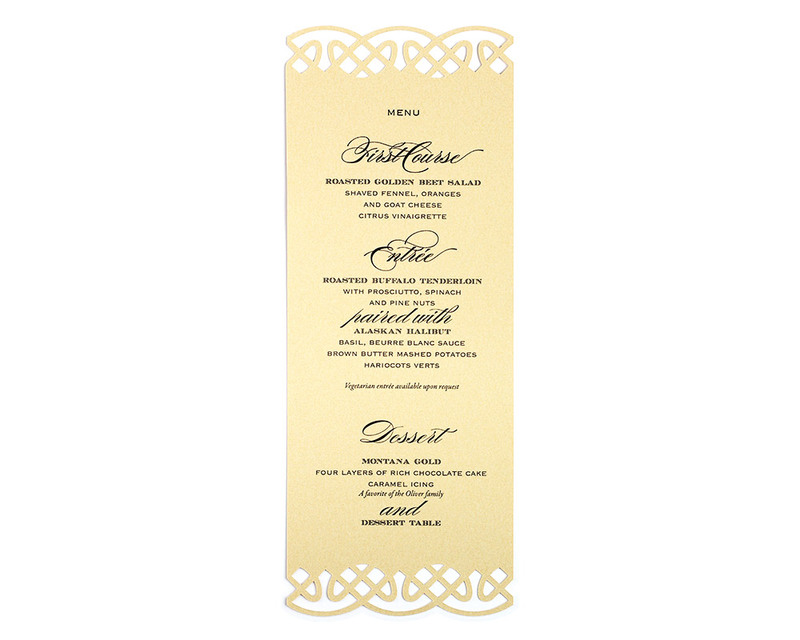 Complete your suite of place cards and table numbers with these elegant menu cards that are chock full of personality and charm. 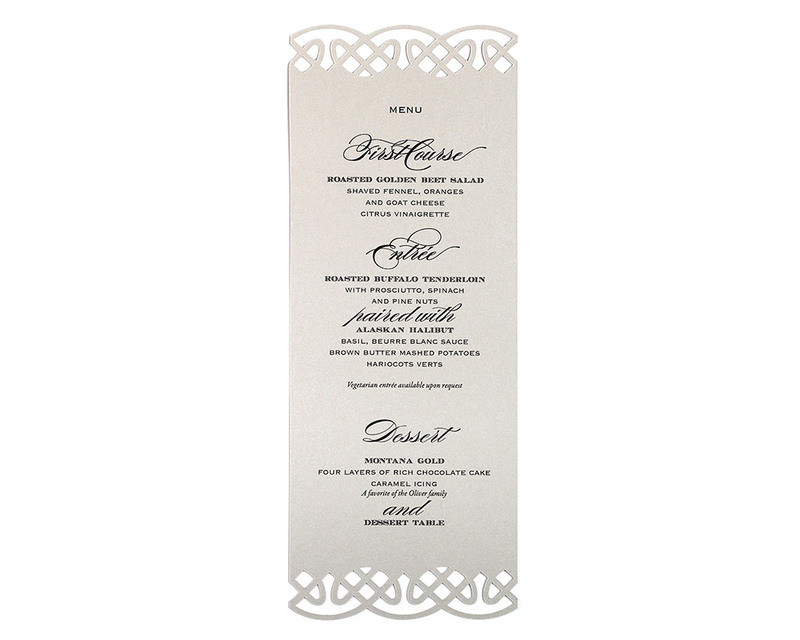 The menu is presented in a fabulous black script mixed with a classic serif font. 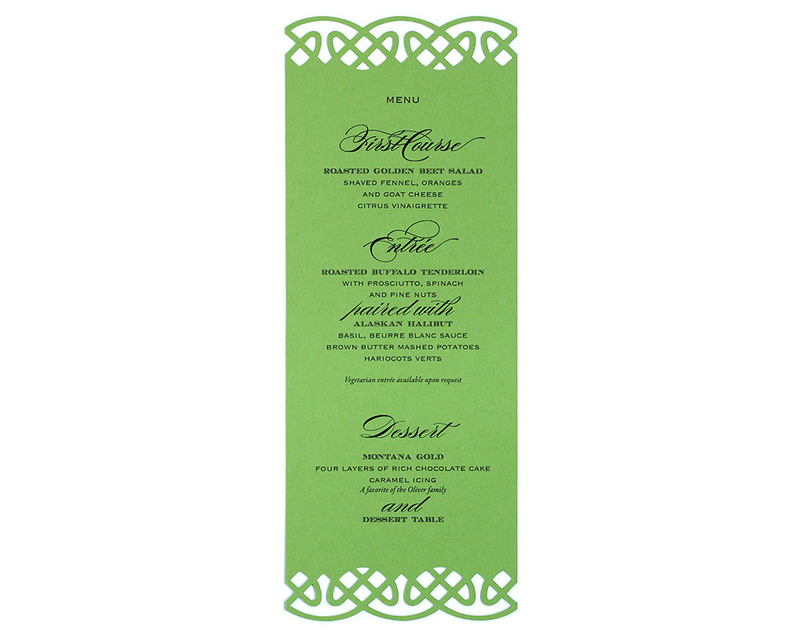 Menu card size: approximately 5" x 9.5"
Please email your menu text to [email protected] for design after checkout. 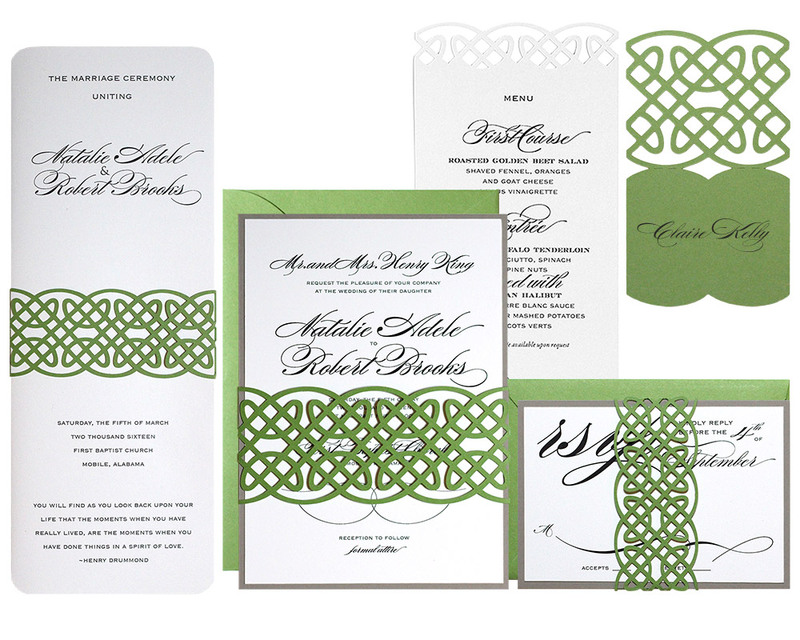 A design fee of $50 is included in all orders. Download our template to see sample text formatting.